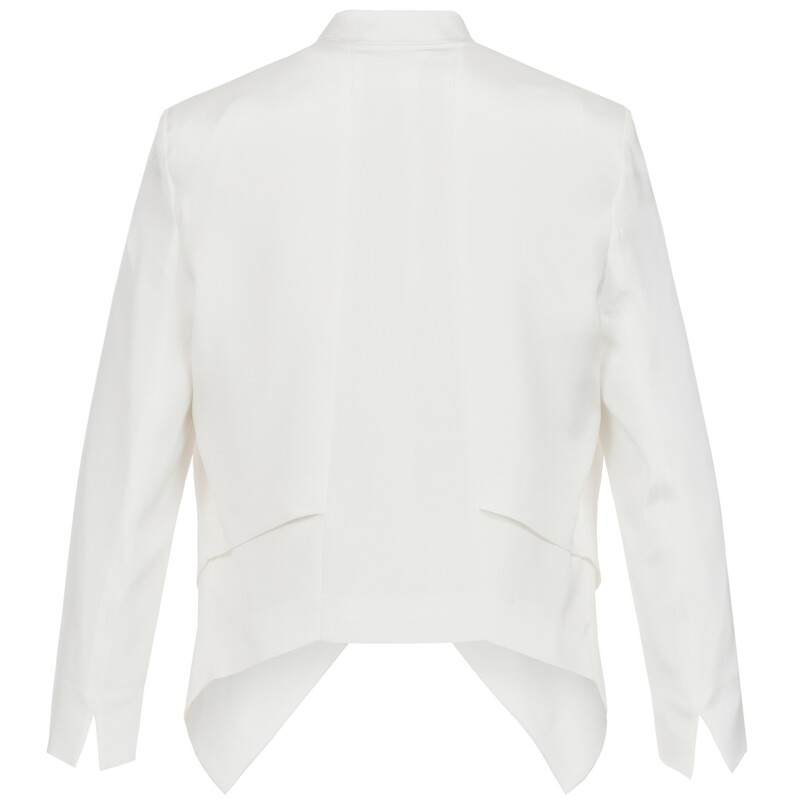 When special design and noble fabrics such as silk meet, rare combinations such as the Scarlett silk jacket are created. 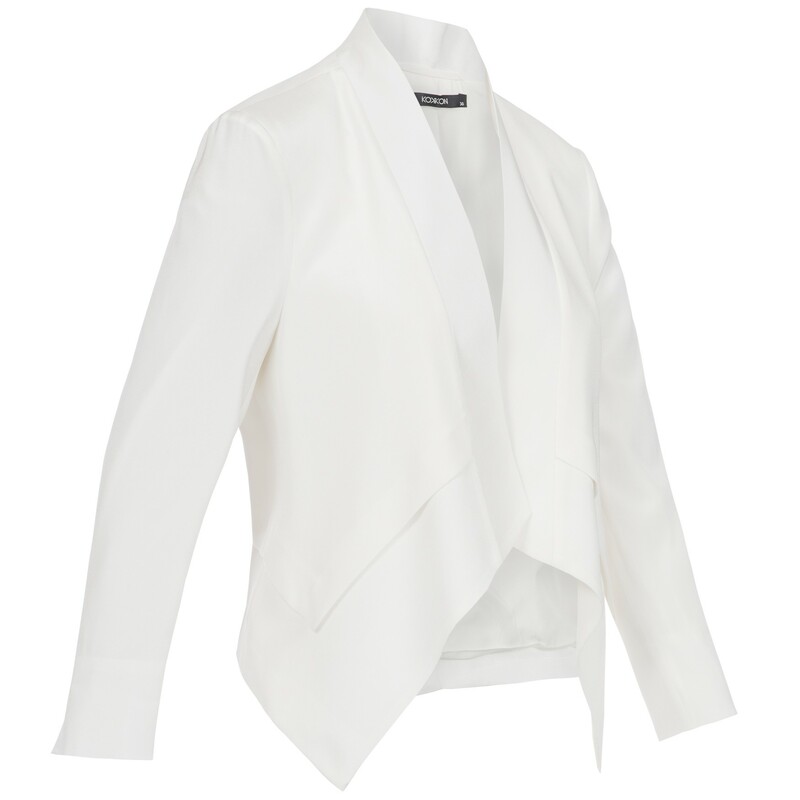 For this jacket we used fine crepe de chine silk as outer fabric and a lining made of chiffon silk with elastane content, for a beautiful feeling on the skin and highest wearing comfort. 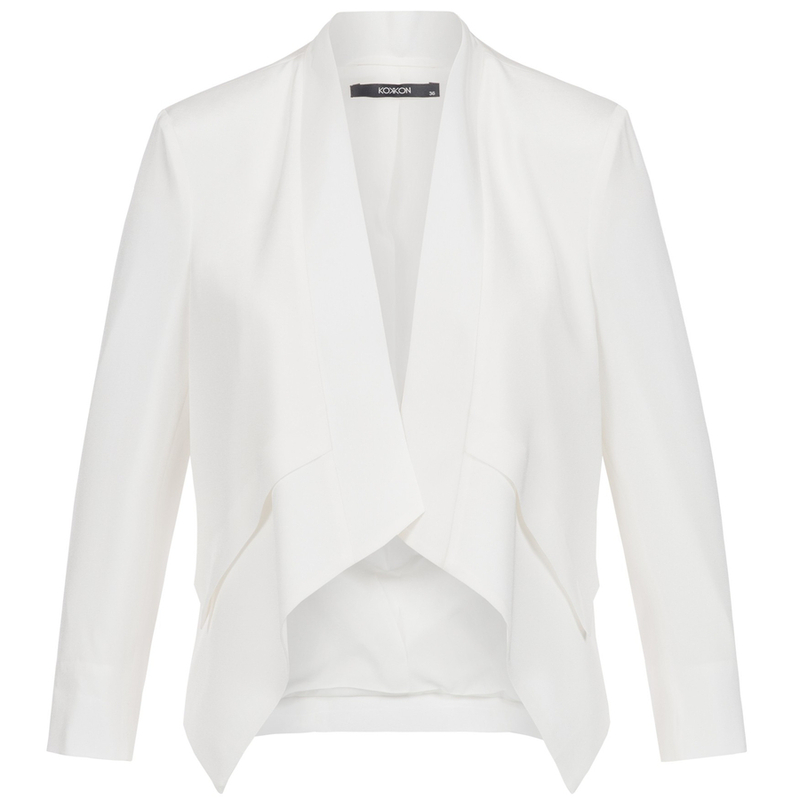 You can combine this jacket with the silk trousers Marlene to an elegant suit or versatile to your favorite pieces. Gentle dry cleaning, iron from the left, do not use bleach, not suitable for dryers Contains non-textile parts of animal origin. Do not rub or wring out when washing by hand. Do not use bleach.